Central Railway Career Recruitment 2018-2019, 06 ECG Technician, Physiotherapist Posts Download Application through Official website www.cr.indianrailways.gov.in. 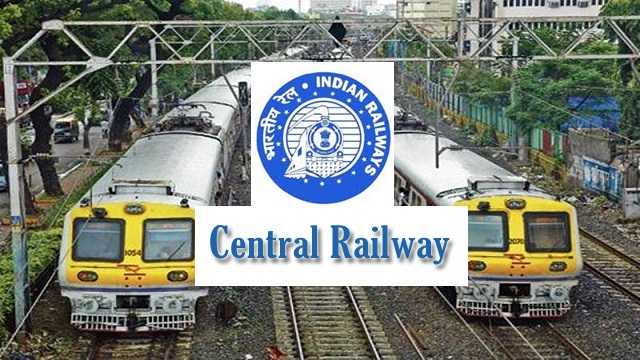 Central Railway pattern of examination, Central Railway Syllabus, Central Railway Question Paper, Central Railway Walk in Date, Central Railway Result Date Scroll Down. Central Railway Recruitment 2018 ECG Technician 06 Posts @ Mumbai. ECG Technician - 10+2/ Graduate in Science having certificates/ Diploma/ Degree in ECG Laboratory Technology/ Cardiology/ Cardiology Technician/ Cardiology Techniques of a reputed Institution. Physiotherapist - Bachelor Degree in Physiotherapist from a recognised University. "Central Railways Auditorium, Parcel Building, Between Platform No. 13 & 14, Chhatrapati Shivaji Maharaj Terminus, Mumbai-40001."